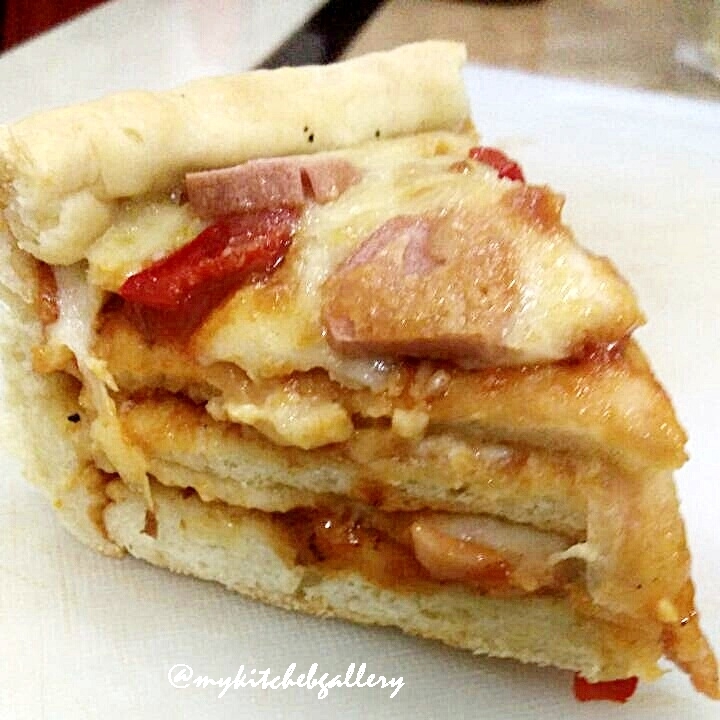 How does it taste three layers pizza in one slice of pizza. Its completely yummy. 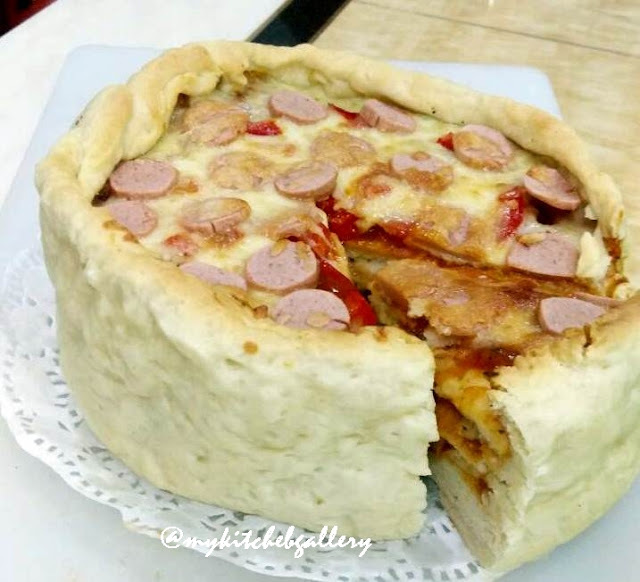 while seeing pepperoni pizza cake in Pillsbury website,it is truly make me droll, curious and absolutely want to make a try for this pizza cake recipe. 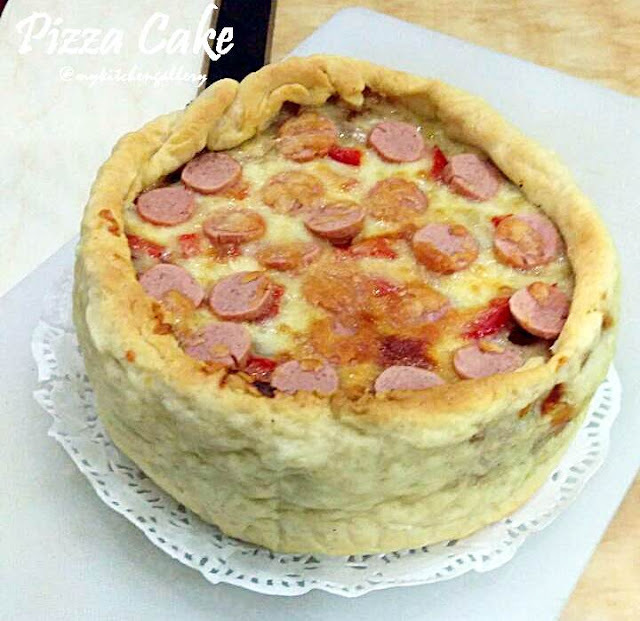 Too bad, i cant find pepperoni in nearby supermarket so i change it with chicken sausage and i do make slightly modification to this pizza cake. My own pizza cake, first layer only contain tomato pizza sauce, red sweet peppers and shredded mozzarella cheese, while layers two contain cheesy sauce and shredded mozzarella cheese. Just for the last layers I put tomato pizza sauce,red sweet peppers, shredded mozzarella cheese and chicken sausage. it is wow, but a lil bit too salty, should make correction to the tomato sauce while the cheesy sauce is already salty. Melt margarine in a saucepan. add the flour, stir for awhile, then add in fresh milk and cheese, stir till become thick sauce, add seasoning and taste it. Let it cool. Use the rest of dough, roll it into about 9x30cm dough. Carefully drape long strip of dough around inside edge of pan to line, leaving 1/2 inch hanging over outside edge of pan and bottom of pan open. Pinch seam to seal. 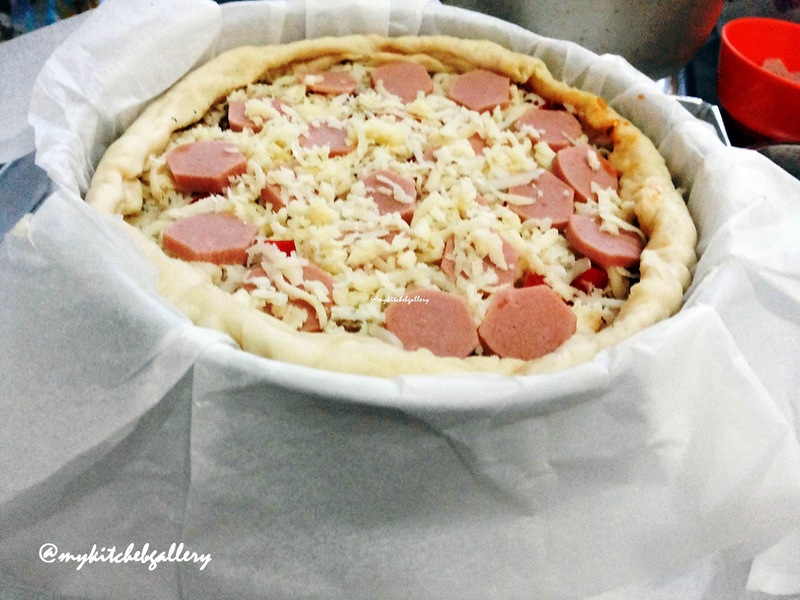 Place one baked dough in bottom of pan, spread the tomato sauce, sweet red peppers and shredded mozzarella cheese. 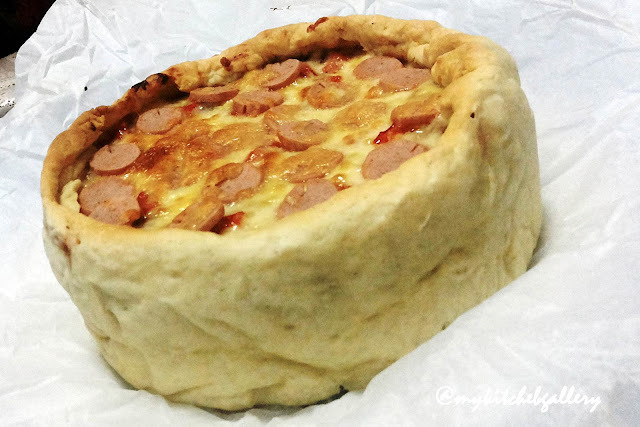 Place another one baked dough to form layers two, spread the cheesy sauce and mozzarella cheese. Place the last bake dough, spread the tomato sauce, chicken sausage and shredded mozzarella cheese. Bake at oven 180C for 20-25 minutes.